If you're a product junkie, then you probably have a stash of old products sitting around collecting dust because you’ve already moved on. Or maybe you’ve tried out a product or two that you didn’t like. 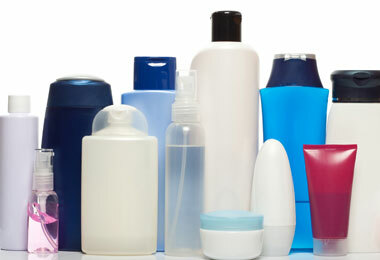 In any case, there are some products sitting under your sink just waiting to be reused. Whether it didn’t have enough slip, was too thick or thin, or didn’t pack a moisture punch, you can always use leftover conditioner as shaving cream. I discovered this in a bind when I ran out after doing one leg and did not want to suffer the consequences of shaving dry. The conditioner was handy so I slathered it on and was surprised at the close shave that I got without irritation. The best part was that my legs felt so soft when I was done. 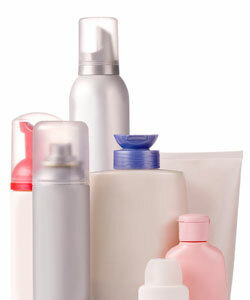 If you have a moisturizer or leave-in collecting dust, try using it to moisturize your body. Many of the all natural moisturizers and body lotions have the same ingredients so why not use your hair product on your skin? 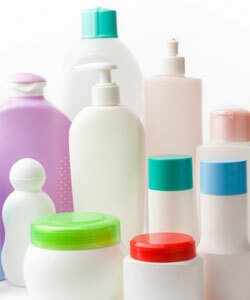 Read More: Are All Natural Hair Products the Same? Moisturize: I love to lock in the moisture of my skin with oils especially on a hot and sticky day when my usual shea mix is too heavy. I also love to use oil as a face moisturizer. It helps to replace the naturals oils lost when I use my cleanser so my face does not overcompensate and overproduce oil causing pimples. Argan and olive oil are highly rated by cosmetologists, but I use grape seed because it’s light and I had a whole bottle of it lying around the house that needed to be used. Remove makeup: Ever washed your face and still found yourself wearing your eye makeup especially mascara? Simply grab a cotton pad, put a little oil of your choice on it and gently rub it over your eyes. The oil combined with the rubbing action helps to slide the makeup off. Then finish off by washing your face. Oil rinse: Many women have complained about the dryness they get after washing with commercial cleansers and have started to use oil rinsing as a natural alternative. It works on the principle that oil dissolves oil and will remove just enough oil to not clog your pores, but leaves enough behind to keep your face moisturized and supple and prevent it from over producing sebum. To oil cleanse you will need to mix a blend of castor oil and another lighter oil like olive. Try a 1:1 castor to olive ratio using less castor and more of the other oil if your skin is dryer, and more castor than olive for oily skin. Once you have your mixture, put a quarter sized amount in your hands, apply it to your face and rub it in gently focusing on your problem areas. Massage your skin for about one minute, then grab a wash cloth and dip it in hot water (not scalding) and place it on your face. The steam will help to open up your pores and release the dirt. After about one minute, rewet your wash cloth with warm water and use it to remove the excess oil. The oil should wash away effortlessly leaving you with a clean face that glows. I love to reuse my all natural shampoo bars for face washes. Those of you who find even the mildest cleansers to cause breakouts and dryness, try this all natural alternative. I learned this tip from YouTube and I have definitely seen results. I use my old greases and pomades to grow my eyelashes! Just like the hair on our heads, our eyelashes will grow if moisturized. For the past couple of weeks, I have been using some old school grease on my lashes, and they have gotten so long! Simply dip a spooly into the grease and apply it like you would mascara making sure not to apply too much to avoid it getting into the eyes. For those of you who cleaned the Dax off of the shelves and now have a jar or two lying around, you might just have found a new use for them. Now that you have new uses for the hair products you aren’t using, I hope it will help to clear out your cupboards and help you with your ‘use up my stash’ missions. As always, remember to have love, peace and curly haired bliss. Read More: Resist the Product Junkie Urge!